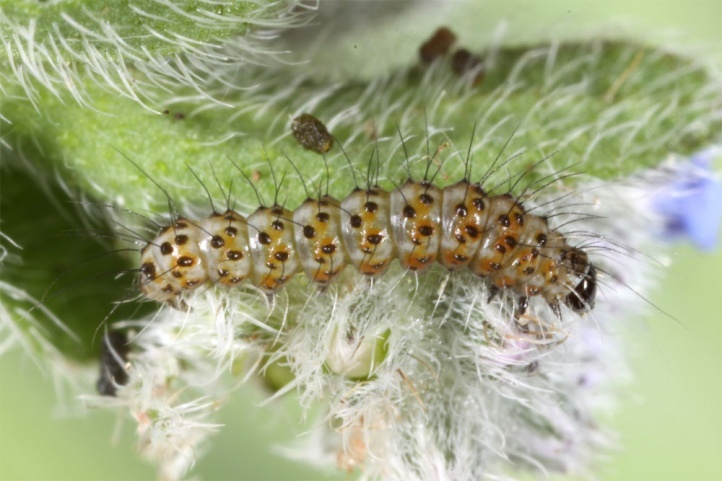 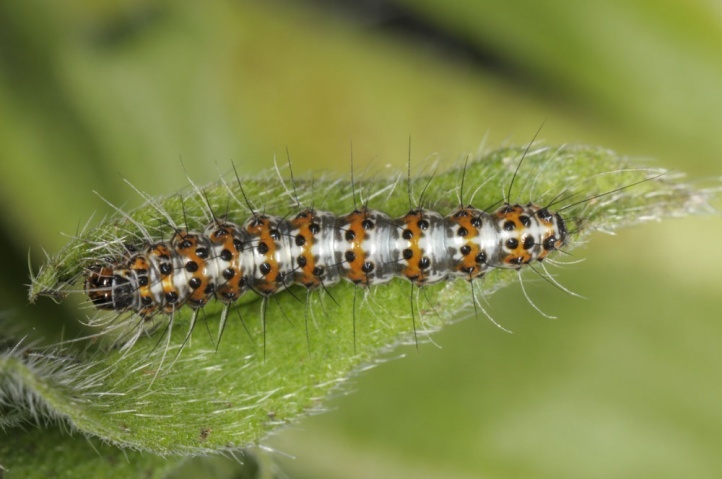 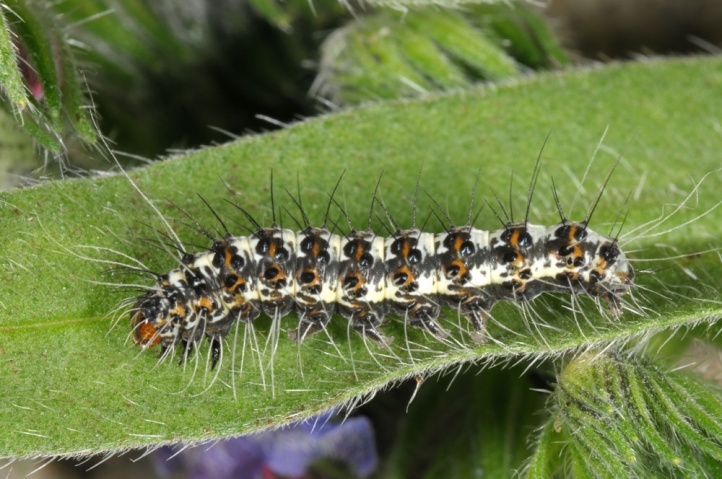 The caterpillars live polyphagous in the herb layer, but apparently prefer - if available - Boraginaceae such as Echium species. 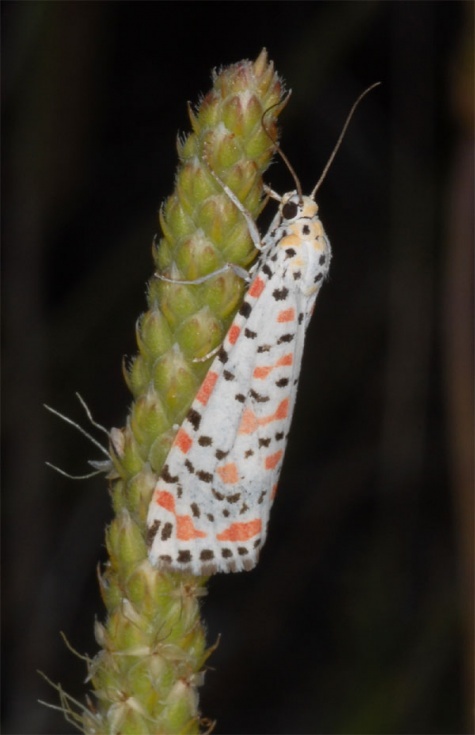 Utetheisa pulchella inhabits mainly coastal dunes, rocky areas, dry slopes and other warm, gappy vegetated habitats. 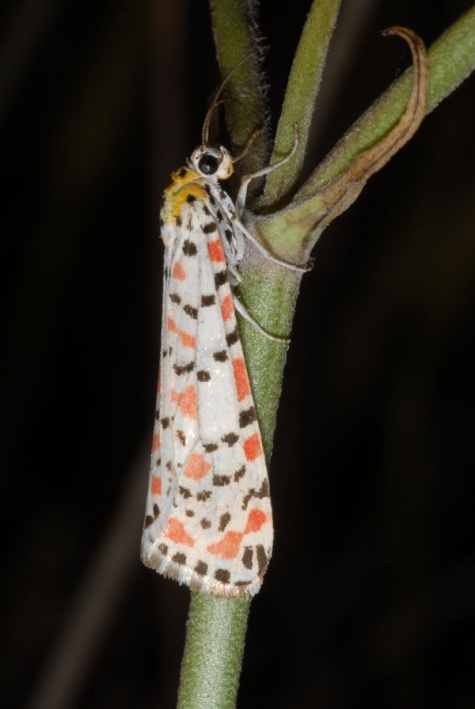 On migration, Utetheisa pulchella is also encountered in other habitat types. 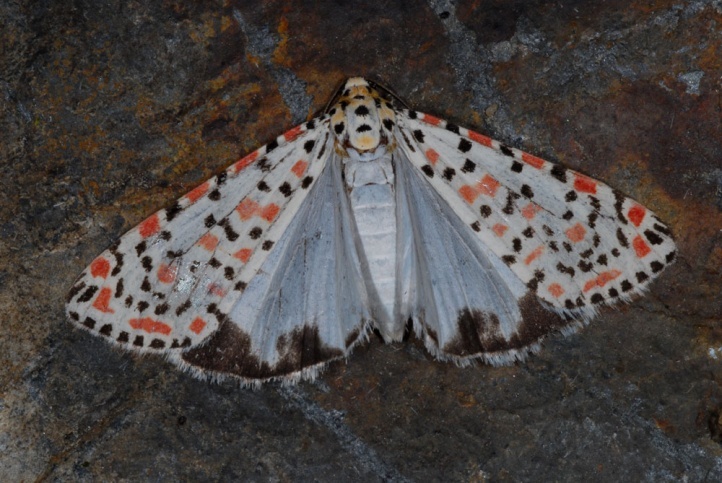 In Sardinia, I met the moth quite close to the coast (west coast) on sand and rock. 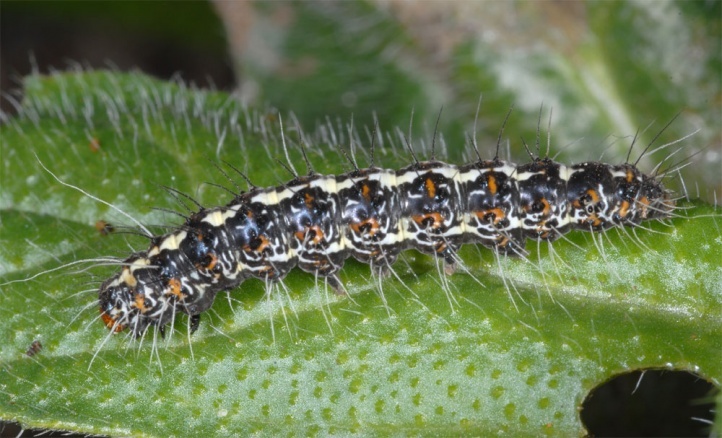 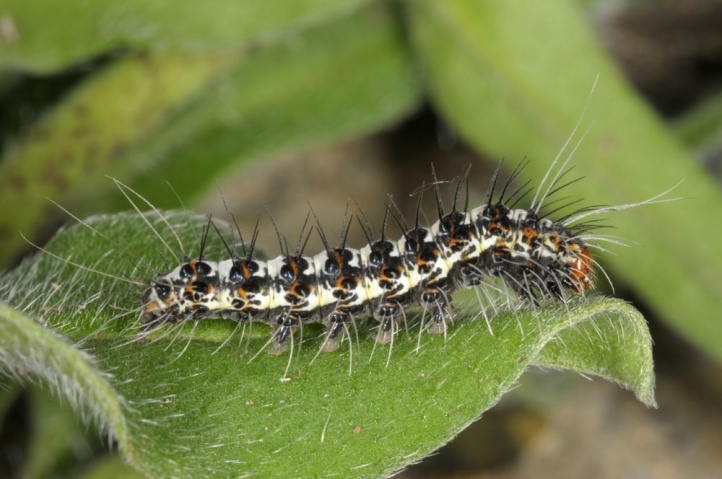 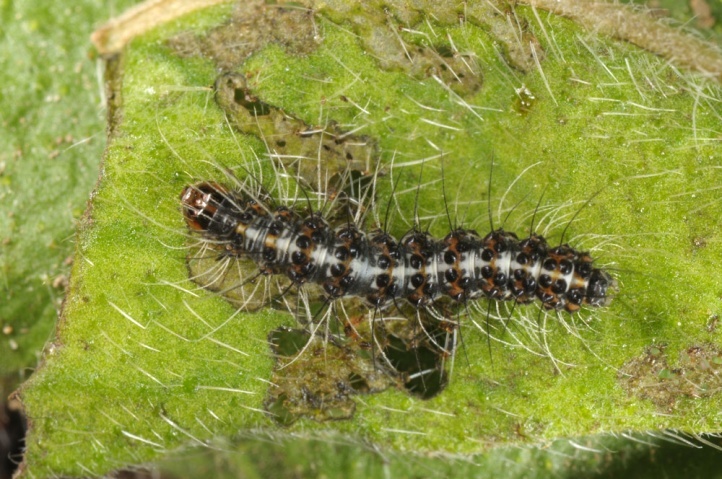 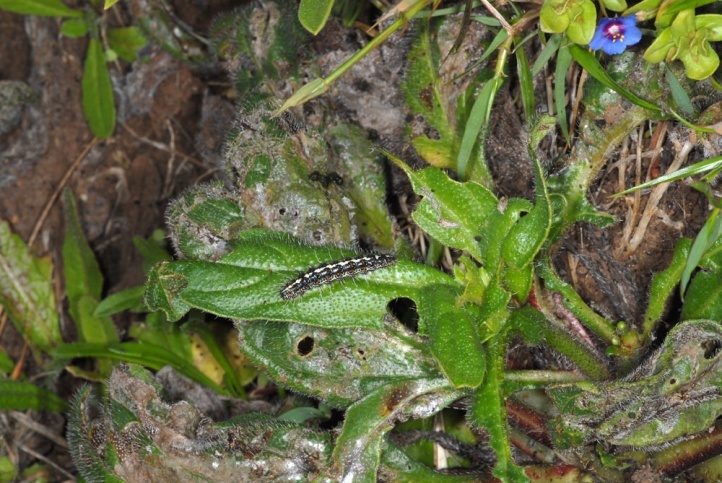 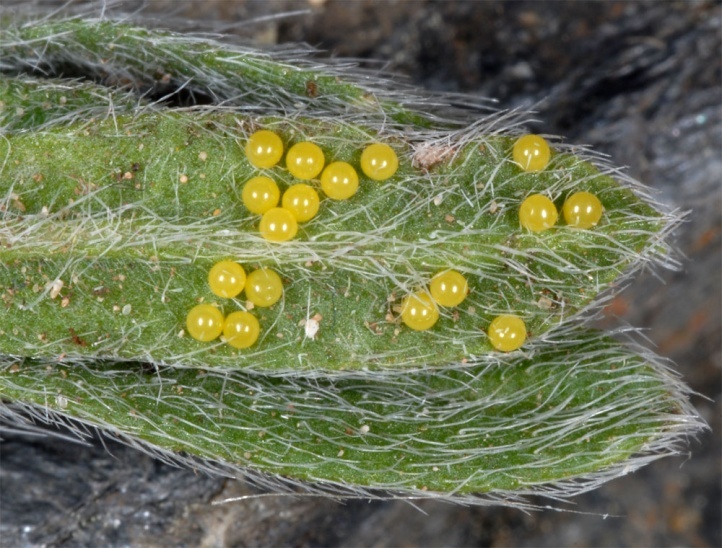 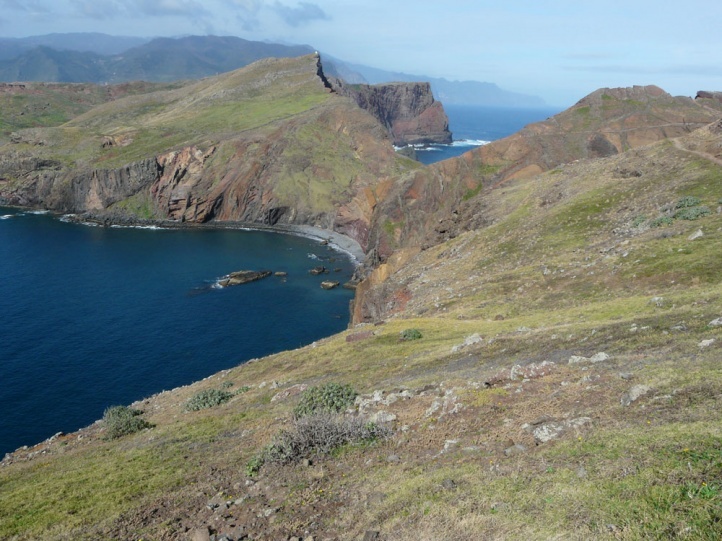 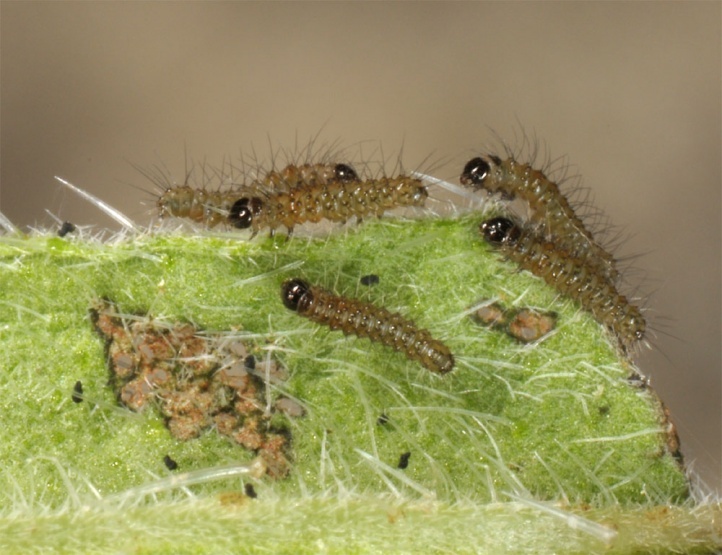 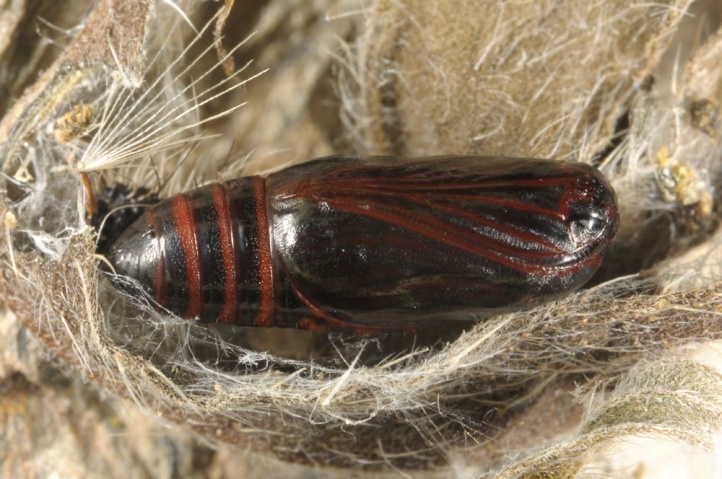 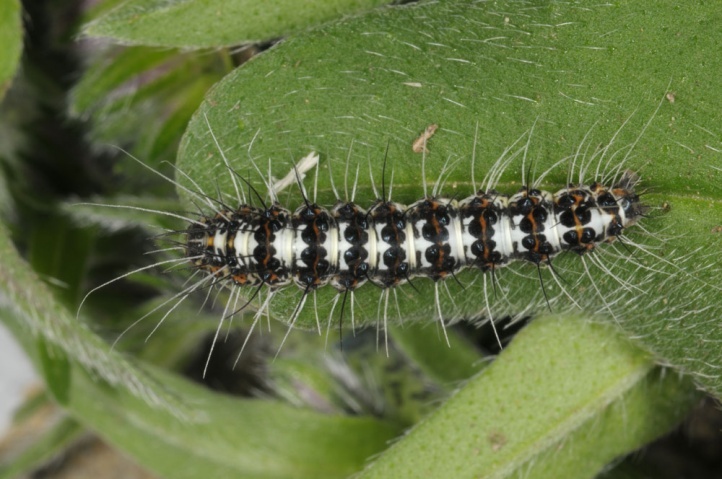 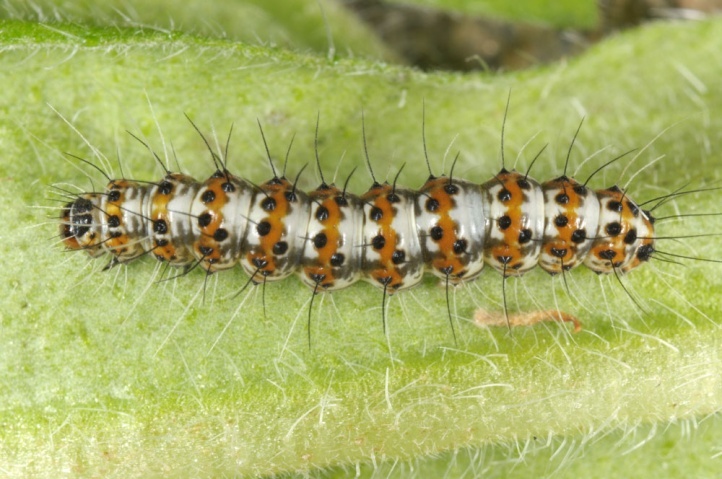 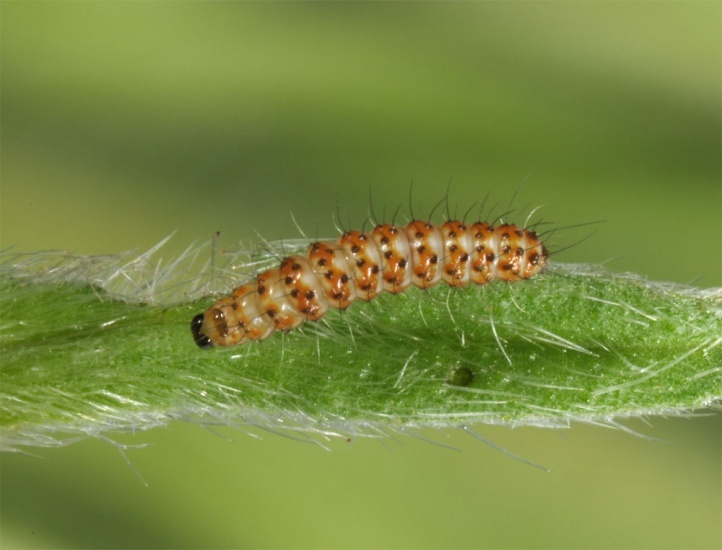 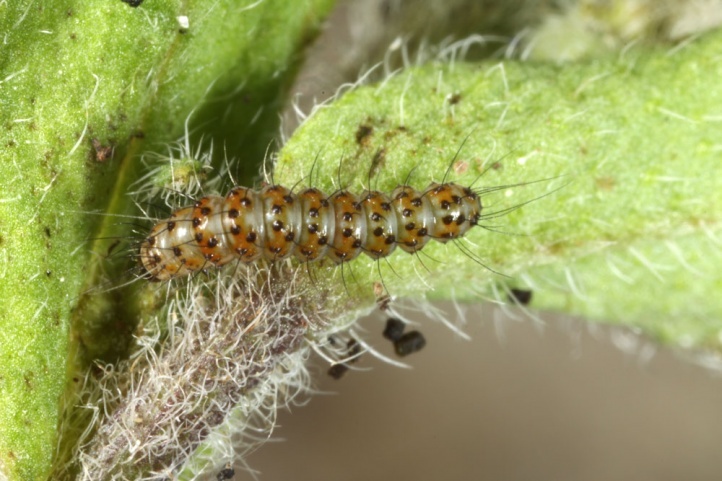 On Madeira, I observed larvae and many adults in dry, Echium-rich grasslands near the coast (Peninsula Sao Lourenco in the east of the island). 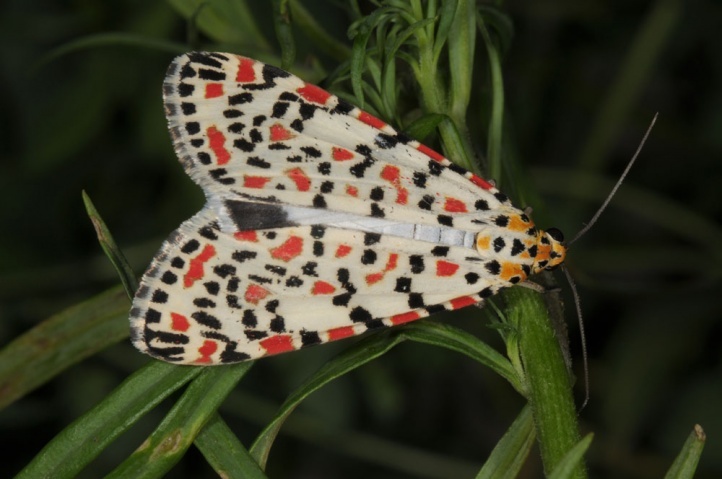 Utetheisa pulchella has several generations per year. 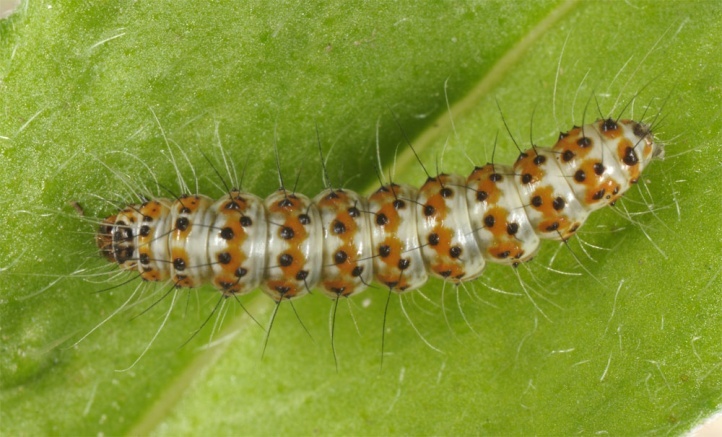 In north Africa and in tropical areas, they appear throughout the year. 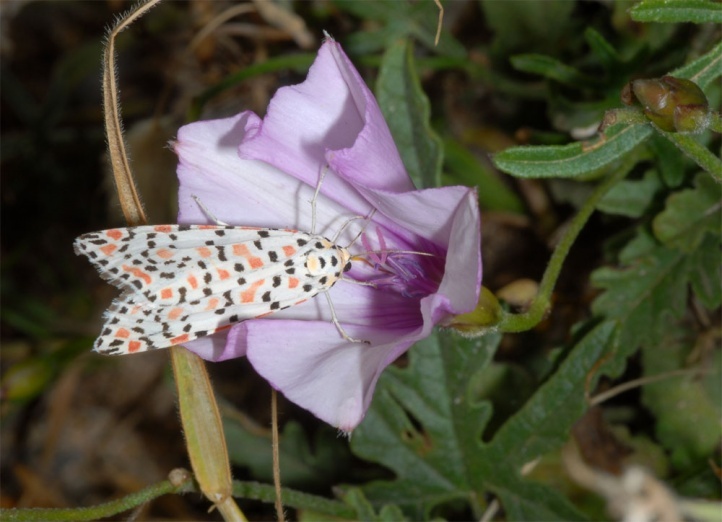 I found moths in Sardinia not until the second week of my visit between 12 to 26 May 2012, but then locally abundant (Sinis peninsula and Costa Verde). 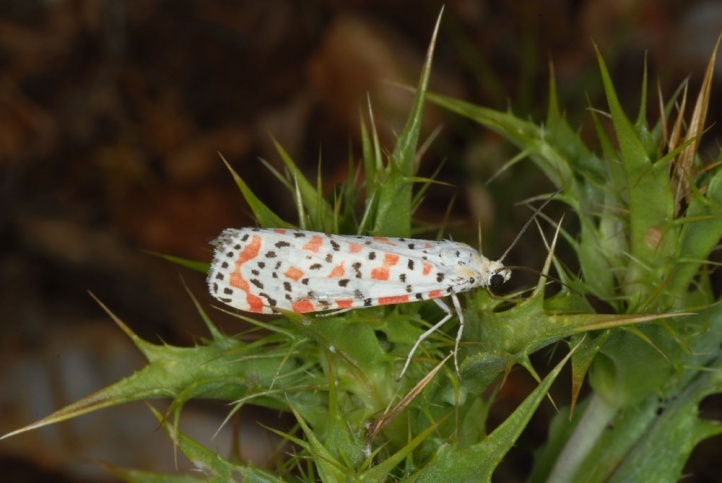 The moths have a similar behaviour as Spiris striata: Short flight phases end at stalks, stems and flowers and the in flight whitish moths (because of the hind wings) then rest there calm longitudinally oriented and with wings applied close to the body. 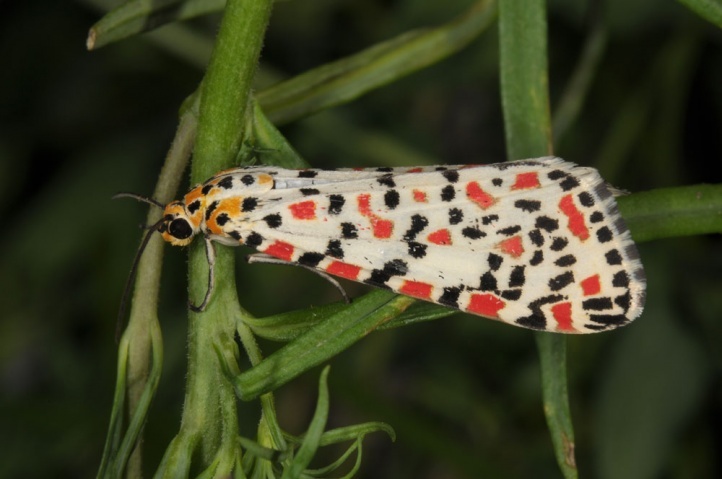 Utetheisa pulchella is endangered in Europe in the few places of their permanent presence potentially by the rampant use of the coasts (tourism infrastructure). 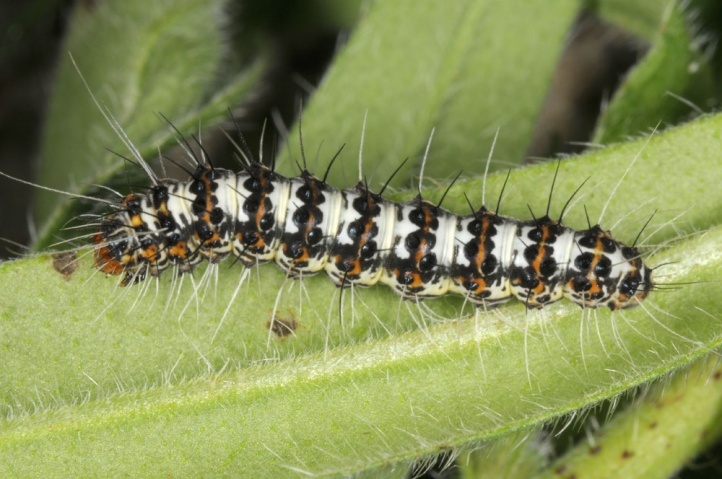 In the tropics and subtropics, Utetheisa pulchella is still common and is even sometimes referred to as harmful to crops. 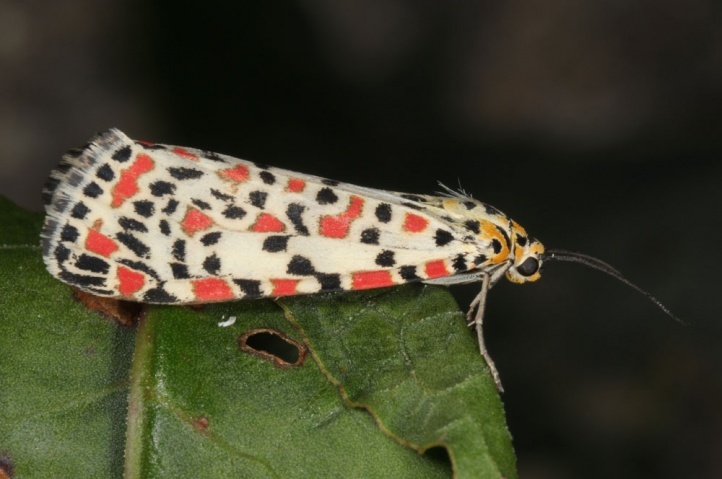 Utetheisa pulchella is most common in the tropics and subtropics of Africa and Asia. 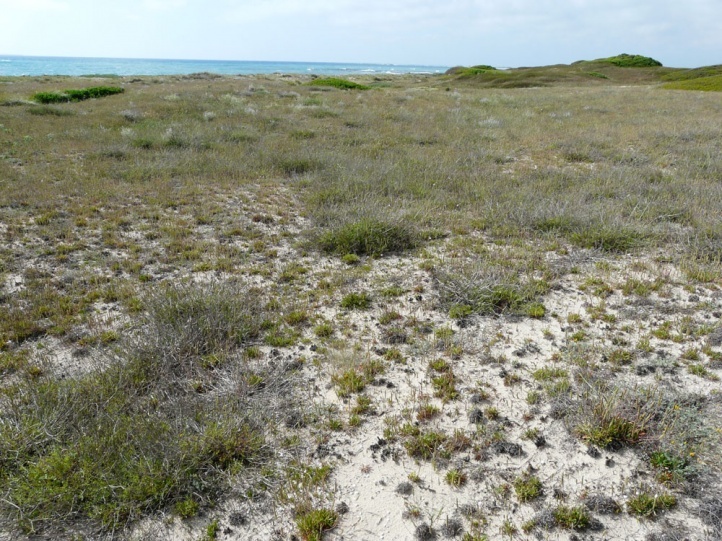 In Europe it is only present at a few places in coastal areas of the Mediterranean (Southern Spain, Balearic Islands, Sardinia, Corsica, Sicily, southern Greek islands such as Crete, Cyprus). 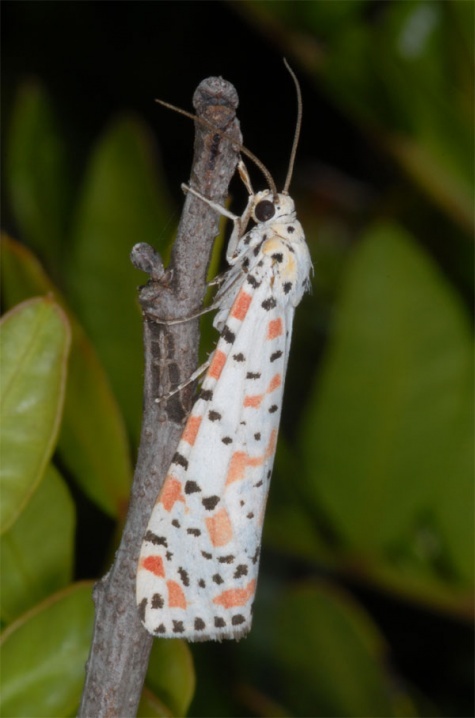 Utetheisa pulchella also occurs in the Canaries and Madeira. 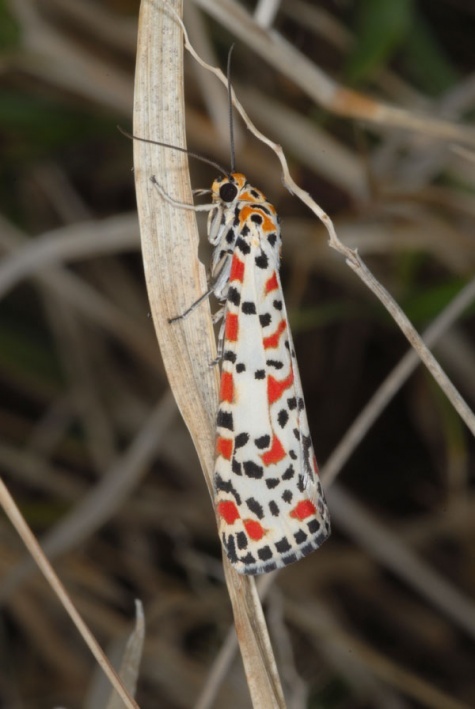 Moreover, Utetheisa pulchella usually migrates in rather low population density to the north and was occasionally found north of the Alps in Germany, northern France and the British Isles.